Metal Banana Expander Roll manufacturing and supplying for Textile processing machines, Plastic converting machines, Paper Industries. Metal Banana Expander Roll, Metal Expander Roller is most suitable in high-speed Pulp & Paper & Textile Applications It also Known as Wrinkle Removers, Bow Rollers & Banana Rollers. Vary Bow Metal Banana Expander Roller. 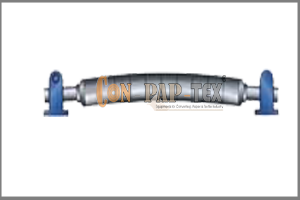 Sleeve Metal Banana Expander Roller for non-sticking application.